Skitch has long been a favorite of mine from the Evernote suite of tools. A super-easy, cross-platform, free and powerful photo annotation tool, it was originally developed by the makers of Comic Life, and you'll see why this makes sense. So much of language involves breaking a whole into its parts, labeling, or describing, and Skitch gives you an engaging and beautiful way to do this with students. 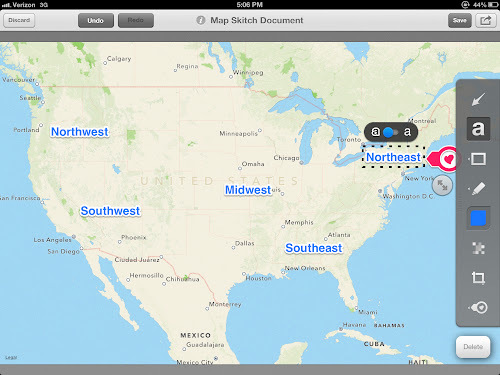 Skitch allows you to build a diagram or graphic organizer from scratch (its tools include arrows, shapes, text, highlights or drawn lines) or apply all of these annotations to a snapped or saved photo. Skitch also allows you to annotate a snap of a website or map, as I have done above, and recently added the ability to annotate PDFs, though this is a premium feature. 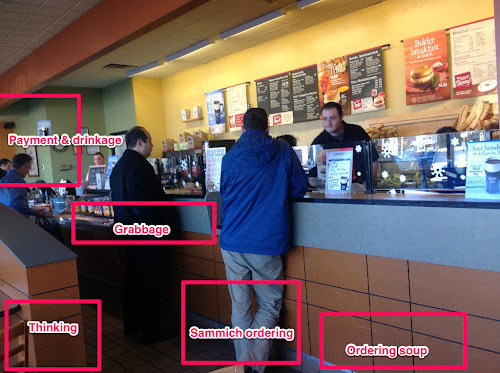 For another example, see how a client of mine (in his own way) analyzed a confusing-to-navigate Brugger's Bagel location using Sarah Ward's executive functioning concept of "zones" (as part of the Space/Time/Objects/People "STOP" strategy, and not to be confused with Leah Kuyper's equally awesome Zones of Regulation). "Grabbage" being the self-serve area. Skitch naturally integrates with Evernote to save your work, but you can use the app without an account and save to the Camera Roll, you just won't be able to edit it later. -Describing facial expressions on snapped pictures within a group or with role-play. -Integrating with picture books and creating a diagram from concept-rich pages that you snapshot with the Camera. -Saving and describing images related to the curriculum. 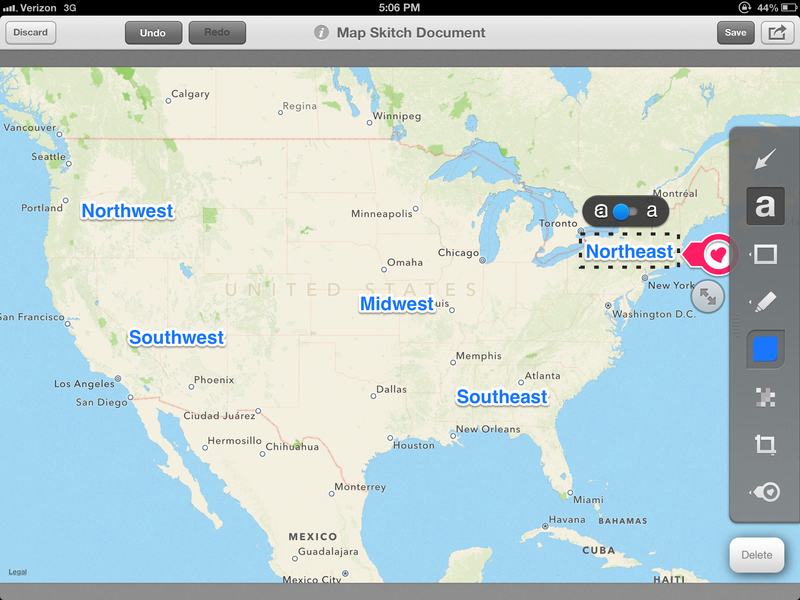 -Young and old...check out Kindergarten teacher Matt B. Gomez's post about how he uses Skitch with his youngsters. What else? Share your ideas in the comments! All students, but particularly ours, benefit from seeing visual examples and connections between ideas. 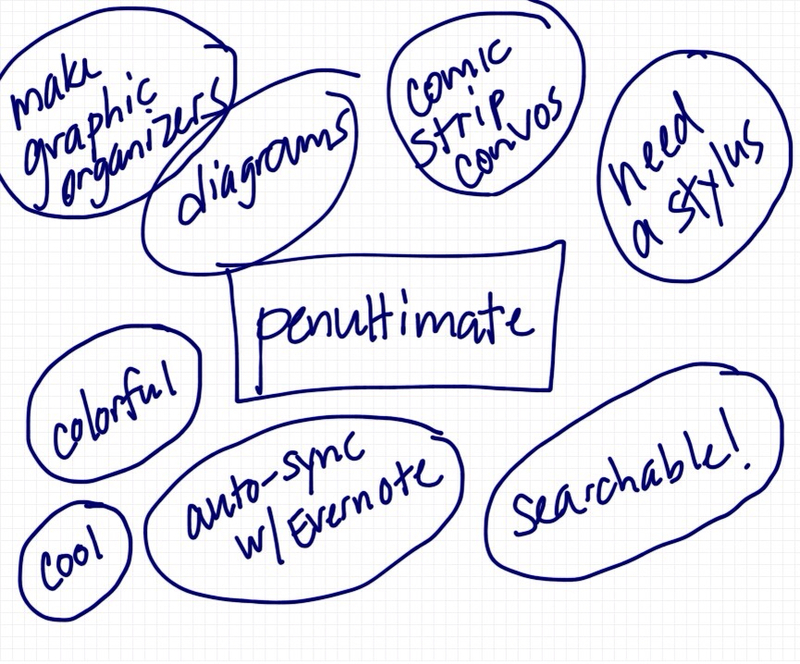 This is the main function of Penultimate, another free tool from the folks at Evernote. 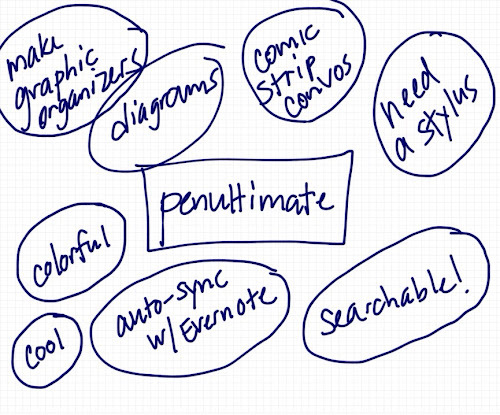 Penultimate allows you to create sketch-based journals that then sync with your Evernote account. The AMAZING thing about this is that your printed text is then searchable in Evernote! A good chunk of our work as SLPs is based on questioning students in some manner. What does that word mean? What are the parts of a ____? What goes with a ____? What are some examples of ____? Not to mention all the how or why questions. It's definitely a plus when we can up the engagement and fun on these types of interactions with students. In my last post, I started looking at Evernote through that eponymous app, and there are a number of ancillary Evernote apps that work with the overall ecosystem. 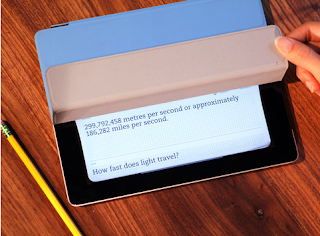 Today, let's look at Evernote Peek, an app that allows you to make fun little quizzes with an ingenious use of the iPad. 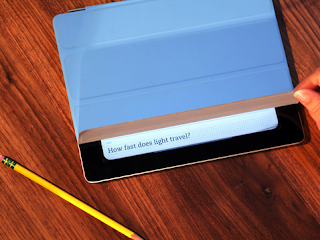 Peek gained notoriety as the first (and I think since then, only) app that interacted with the iPad Smart Cover. Better shown than described. In short, Peek lets you set up word or question lists, along with definitions or answers, and then interact with them using a Smart Cover. Now, don't stop reading if you don't have a Smart Cover, because the app features a "virtual" one! 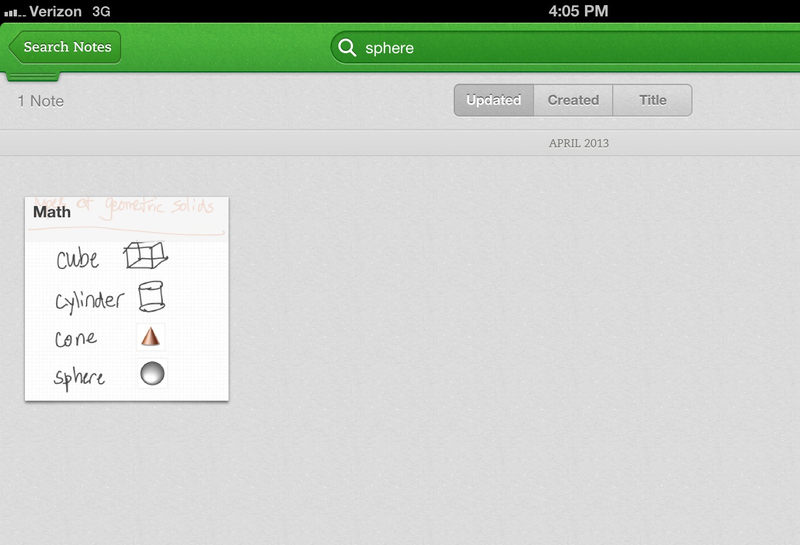 First, of course, download Evernote Peek and Evernote, and create an account in Evernote. 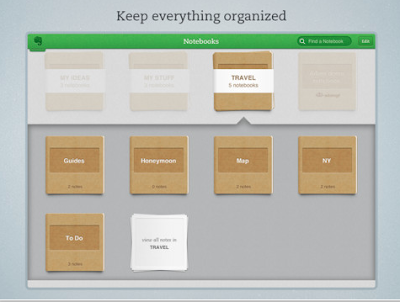 In Evernote, create a notebook for your "Peek set." Each item in your set needs to have a note within that notebook. Create notes in which the trigger word (a vocabulary word or question) is in the title of the note. This is what will appear under the first flap as shown above. Write the definition or answer in the body of the note. This will appear as you continue to lift up the cover. 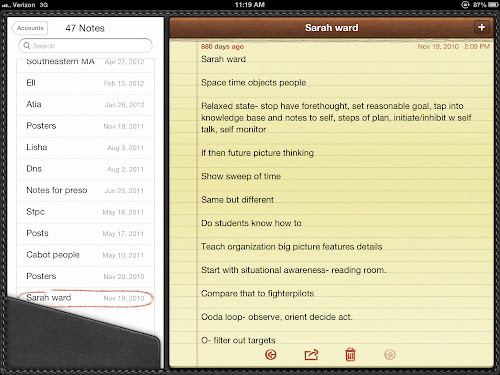 Once you have created your notes, open Evernote Peek. Tap the Plus to add your notebook, then My Notebooks, and select the notebook in Evernote that you created. -Some of the other content you can add to Peek is worth exploring. In particular, the Test Prep notebooks in the Education section provide good models of mnemonics for vocabulary words. -My Smart Cover no longer interacts with Peek. I have no idea why. You can turn on the virtual Smart Covers in Peek Settings. 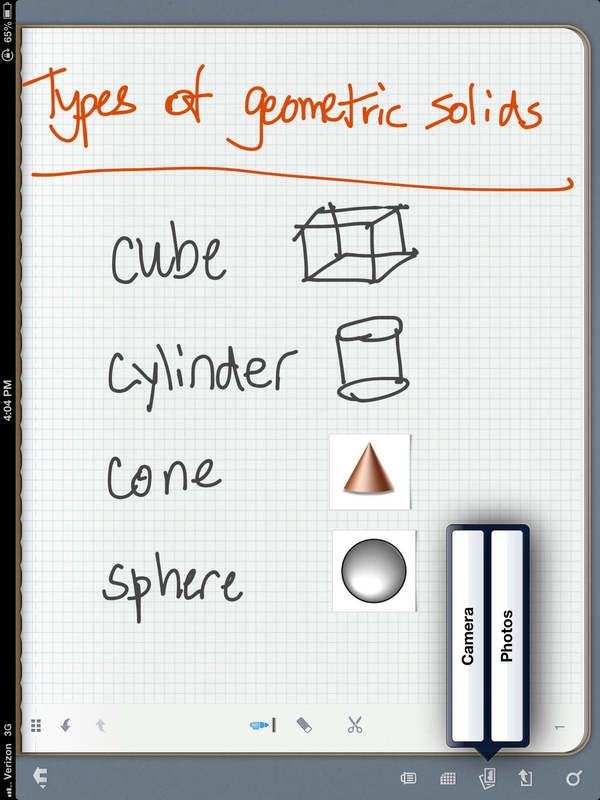 -Peek is a great app to use in consultation- teach students how to make Peek sets. Mine thought it was super cool! How do you see yourself using Peek? 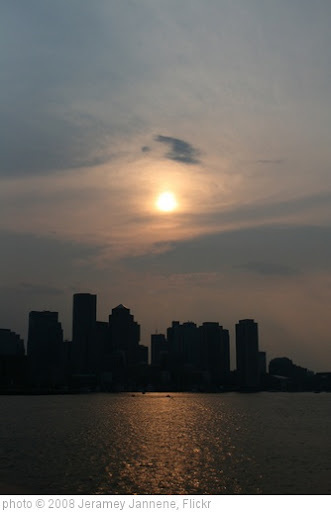 In an April column for The ASHA Leader based on some recent consultations in the Boston area, I mentioned the tools offered by Evernote and their potential for helping a variety of students with learning difficulties. I have also mentioned Evernote in the past as a productivity tool and the wonderful Meghan Gallahan Graham of all4mychild wrote a guest post here about her use of Evernote some time back. Since the App-titude columns are meant to present a number of ideas in short format, I thought it would be worth talking about some of the free Evernote tools here with a little more elaboration. We'll start with Evernote itself, a sort of catch-all note taking and idea capturing tool (free for pretty much every platform and on the web). I'm not as much of an early adopter as people think I am, and though Evernote is pretty entrenched and mature, I started REALLY integrating it into my work in the past year. The idea of Evernote is, naturally, a place to add notes. BUT, until an update sometime in the last 6 months or so, you could not organize those notes into Notebooks on the mobile versions- you had to make the notebooks in your web account. This limited my use of it somewhat, and I am really glad that feature is now in the iOS apps. This is yet another example of why it's important to know a little bit about what your Updates contain- they might transform an app from marginally useful for you to very useful. -I do a lot of classroom observations and I like to use Evernote so that my information is organized in notebooks for the location or student. I DO NOT put the student's name or any specific information into Evernote, as it is a web-based tool and its password-protection is not considered strong enough to ensure confidentiality. It is simply a tool to record my thoughts and observations using initials and vagaries, and when I need to put that information into a specific report, I can easily copy and paste from the Mac version of Evernote I have installed on my computer into a more secure tool such as a word processor. 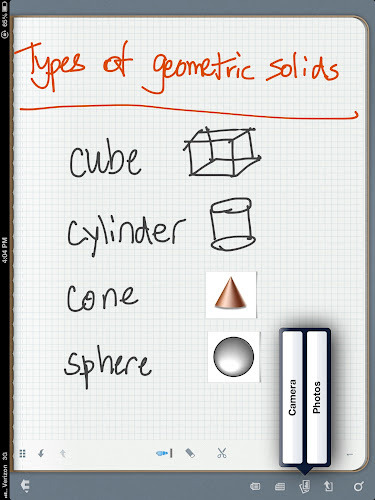 -In a few tech-based consults for students, they have been very interested in using their device to start to take notes. They often start this by using the built-in iOS notes, and then it has been (usually) easy to help them see the value of Evernote, which of course has Notebooks and is searchable. Unlike Notes. If your life were one giant legal pad, could you keep it organized? Plus, OH the skeuomorphism! -Lastly, Evernote is super-useful for general meetings and professional development. I recently attended the Social Thinking Clinical Training in San Jose- great experience!- and, without extra paper, ALL my notes from those three days are in a notebook in my Evernote account. In my next few posts, I will be talking about some other free tools that integrate with Evernote. How about you? Are you using Evernote or something similar? I think it is one of the things that we all like about the iPad. App icons have a visual appeal that tends to stick with us, and we sometimes even look more closely at an app and consider buying it because of the icon. At least I do. It's like app fashion. So, for a long time I resisted any significant use of folders on my iPad screens, and as a result, my iPad(s) became a total hot mess. The issue is that you have a maximum of 11 screens of icons that will be displayed on your iPad. As you may know, this does not mean that you can only install 220 apps on your device. The number of apps you can install is completely dependent on the capacity of your iPad (16, 32*, 64 and now 128G), the size of the apps you install and whether you also have a lot of photos, video or music on the device. So, as you fill up those screens and enjoy the bright icons, you can always rely on the Spotlight search to help you find an app, which is what I did for some time. However, once the 11 screens are filled, it can get a bit dodgy. Apps will still install of course (if you have space), but you will maybe forget that they are there. When you do what I do, you have a lot of apps on hand, but even for the less insane people, we should try not to forget about relevant clinical tools that can become hidden in the netherspace of our iPad's brain (but are still searchable in Spotlight and listed in your Usage/Storage area of Settings). I finally had to embrace folders in order to feel I had a better sense of my catalogue. There is a way to arrange all of your app screens, including the netherspace apps, by connecting to iTunes and clicking and dragging them all around from these grayed-out netherspace screens, but I found that cumbersome. Which is probably why I avoided the task for so long. 1. Take a look at your screens and start to conceptualize what your schema for categorizing them will be. 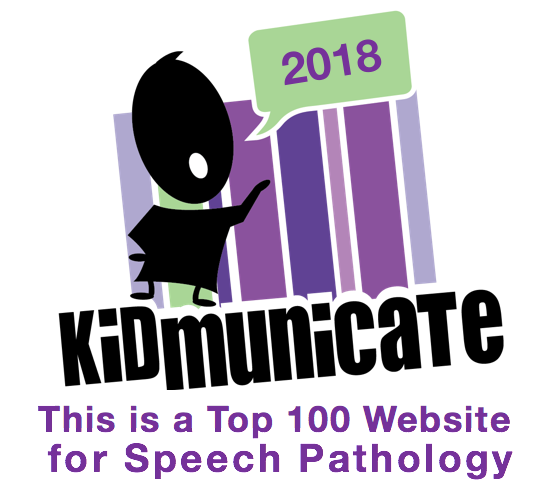 You are an SLP (probably, if you are reading this), so you should be good at this. Keep in mind you can always change it up. 3. Move each folder to screen 1 or 2 of the iPad and organize the folders alphabetically. This really helped me begin to process the overwhelmingness of it all. 4. If you have pretty broad categories, remember that each folder only holds 20 app icons. No biggie, just add a 2 for the next one, 3 if you need another, though if you go beyond that you might want to consider more specific subcategories! 5. Soon you will start having empty space on your screens, because you have categorized many apps. How do you get the apps from the netherspace to show up? RESTART your iPad and they will pop up in the empty spaces! I did not know this! It was a glorious revelation. 6. Repeat until your iPad is much less crazy-making. ...which probably could be improved, but is much better and more of an example to the groups of people I work with on iPadness. AND, when you tap on a folder, you can still admire the icons inside. As a side note- since I have a backup iPad for presentations, once Alpha iPad was pretty much set, I backed it up to iTunes by plugging it in to my Mac. I then plugged Beta iPad in and restored it from the iTunes backup of Alpha iPad. Note: if you do this, you will lose data stored in apps and photos etc. on the iPad you are wiping and restoring, so don't do that if it matters to you. Also, all the apps didn't come over for some reason, but the folders did, so that was great. For some great posts on foldering, see Consonantly Speaking. *If you are tempted to ask me which size iPad to buy, fair question. I'd recommend at least a 32G at this point. You will fill your 16G rather quickly, and there is no way to add memory to an iPad. Megan Sutton wrote more about this recently.